BILL MAHER: Hey, We Drone Bombed Al-Awlaki - Why Not FOX News? BILL MAHER: Hey, We Drone Bombed Al-Awlaki – Why Not FOX News? Bill Maher blames Charleston church shootings on FOX News and Drudge. 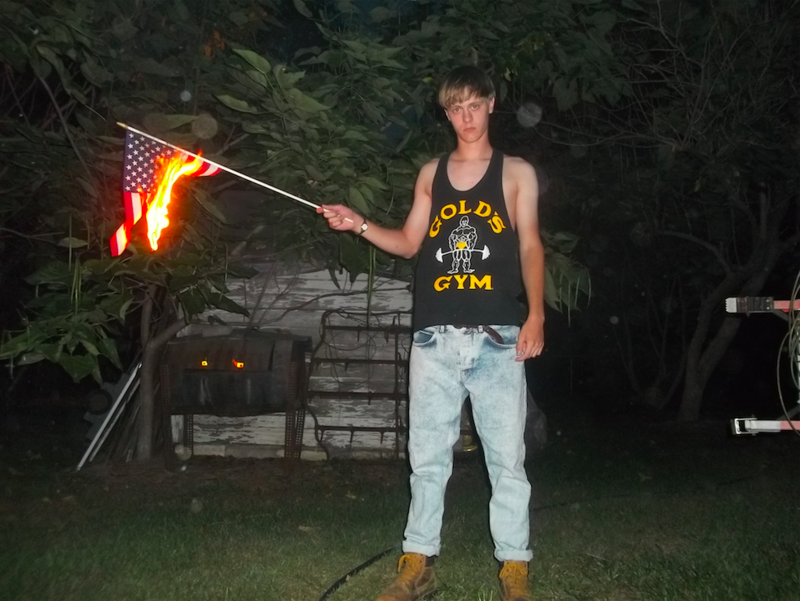 America-hating church shooter Dylann Storm Roof burns a US flag. Far left crank Bill Maher blamed FOX News and the Drudge Report for the Charleston Emanuel AME Church shooting. Maher then went on to compare FOX to Islamist hero al-Awlaki who was killed in a drone bomb attack. Comedian Bill Maher said conservative media — including the Drudge Report, Fox News and The Daily Caller — may have a hand in inspiring Dylann Roof to shoot up a black church in Charleston, S.C. this week.What do you think? Maher was discussing the massacre with a panel on his HBO show, “Real Time with Bill Maher,” that included Daily Caller senior contributor Matt Lewis.What do you think? “We can never know why someone snaps, but I bet you I know where he got his news,” Maher said, referring to Roof, who killed nine people in the attack on Emanuel African Methodist Episcopal church.What do you think? “Same with Matt Drudge,” the host added. “I think they present a really twisted view. I’m not surprised this guy thought ‘they’re taking over the country.’”What do you think? Maher then compared Fox News to Anwar al-Awlaki, the American citizen and al-Qaida operative who was killed in a 2011 drone strike. The Obama administration defended targeting al-Awlaki by claiming that as an influential imam he helped radicalize terrorists in the Middle East.What do you think?